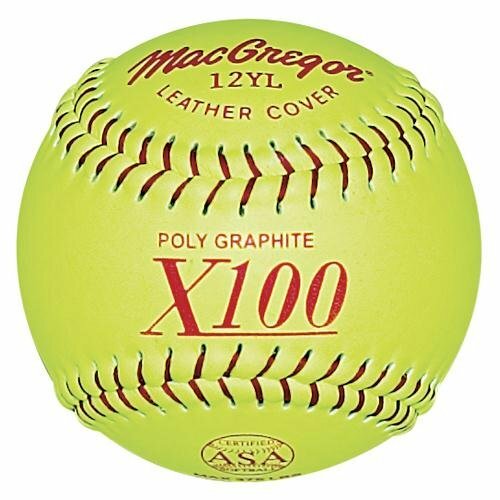 Whether your team is warming up or going into extra innings, these MacGregor ASA Fast-Pitch Softballs will last through every hit and pitch your team can dish out. Batters are sure to keep their eye on the ball when they see the bright yellow cover, and pitchers can confidently execute windmill pitches with the sure grip provided by the traditional red stitching. Watch your sluggers knock these softballs out of the park thanks to the solid pop off the bat. ATTENTION COACHES AND PARENTS: Take your kid's team to the next level with the latest and greatest in softball training equipment. 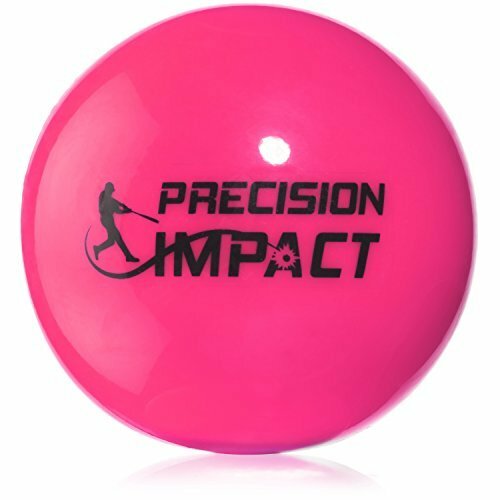 Precision Impact Slugs are a softball hitting aid designed and weighted to provide instant REAL-TIME feedback, so that you can adjust and fix your swing accordingly to increase your hitting power and accuracy, no matter if you're Pee-Wee, intermediate, or Division I. Start hitting more home runs! CONVENIENCE: Safety nets are helpful but no longer necessary, as the balls are heavy and won't travel as fast as a softball, allowing you and your team to practice safely without worrying about a ball hurting anyone. Also, don't forget to throw away all those silly wiffle balls; it's time to get serious with your team's batting practice! 100% SATISFACTION GUARANTEE: Precision Impact Slugs come with a 100% Satisfaction Guarantee. Our customer service is dedicated to addressing any product/service issues and is committed to delivering a 5 star experience for all buyers. If you're not happy with our product, simply return it for a full refund. You really have nothing to lose! WARRANTY: Our brand offers a FULL 1-YEAR WARRANTY! Feel safe with your investment and buy from Precision Impact! Rawlings Fastpitch Softballs offer the performance you demand with the distinctive sound and feel of cork. 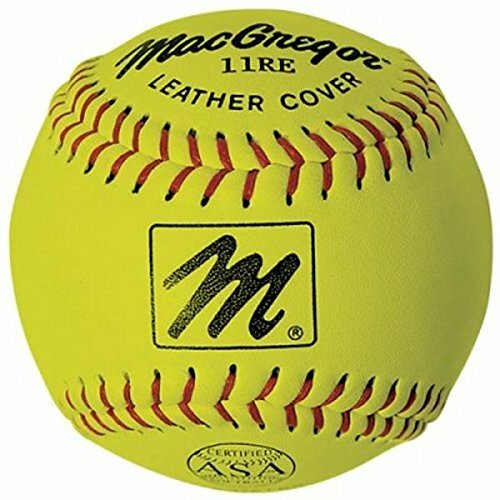 These 12-inch yellow ASA softballs are constructed with high-density cork centers and pro-leather covers that deliver just the right amount of tack. These leather softballs are designed with 375-pound compression, a COR of . 47, and raised seams to deliver a better grip. 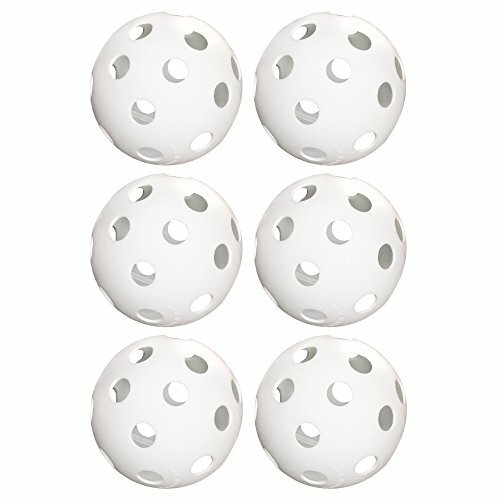 Our set of 6 practice softballs is perfect for practicing your game-inside or out. 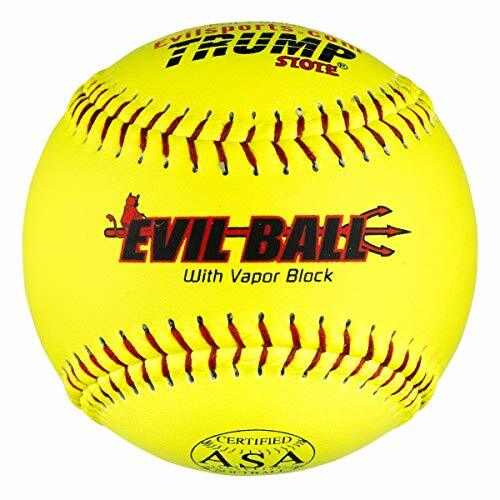 Made at regulation size, 12" diameter, these balls are most comparable to official size softballs. The uniform holes help ensure maximum accuracy with every swing while the balls themselves are sturdy enough to avoid splitting or cracking. Take them to the diamond or your own backyard! No long worry about causing damage to your home or a neighbor's as these balls are plastic and lightweight. 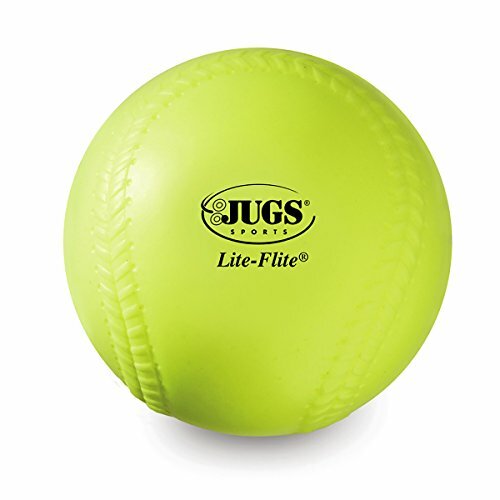 While much bigger than baseballs, these balls can be great for company baseball and wiffle ball games at the workplace. They can even be used for street hockey and pickleball. Take 'em out for a swing with friends and family, you'll be perfecting your swing wherever you go. Ideal for training exercises, including close-range batting practice, these balls are lightweight and hollow. They're perfect for sports teams or home use, each ball is smooth and round. 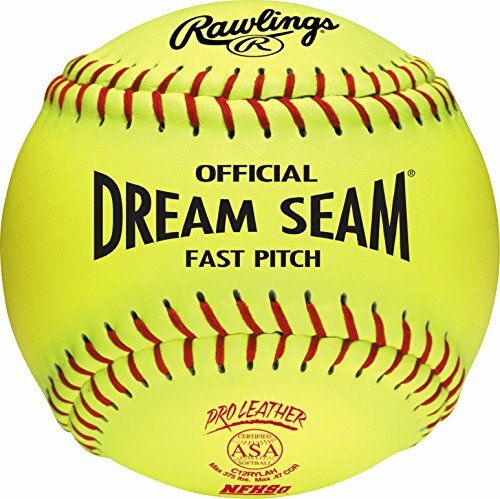 These balls are a great way to perfect your swing with any softball or baseball bats. 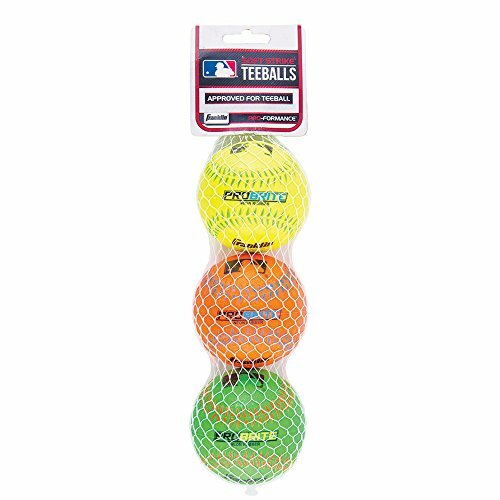 Whether you are practicing on the diamond or in the backyard, this set of 6 perforated softballs is a must-have training aid. Franklin's official size Probrite Rubber Teeballs can be used for anything from practice to games. 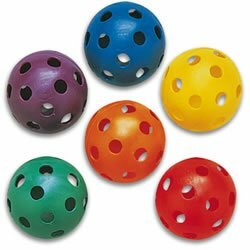 With bright, optic color combinations, these waterproof, 100% rubber balls will help work on hand-eye coordination and will get you ready for the next level. 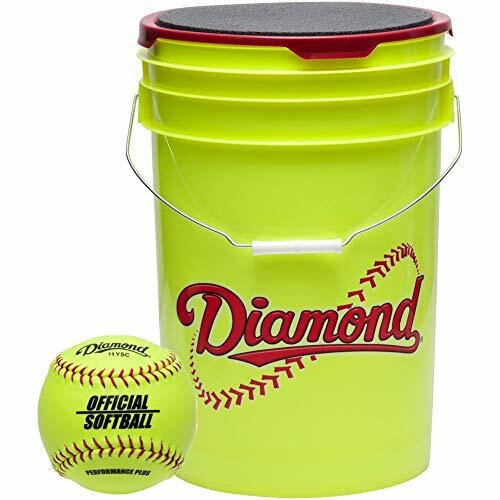 Diamond Sports 6 gallon bucket with 18 11YOS softballs is a great package for game or practice. The 11YOS softballs have an optic synthetic cover and a cork core. 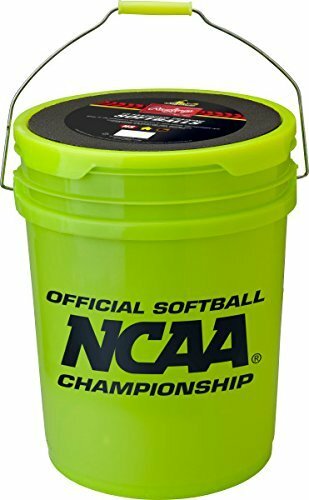 Keep practice moving with a 5-gallon bucket of Rawlings NCAA Practice FastPitch softballs. The 18-pack of softballs are built to keep players safer than traditional softballs while practicing fundamentals and building skills. The fastpitch softball features RIF (Reduced Injury Factor) construction and a soft polyurethane center to cut down on injuries during practice. The Optic Yellow color makes it easy to spot and identify for hitters and fielders. Its ProTac synthetic leather is soft, yet durable enough to withstand everyday practice. The ball is finished with red raised seams to provide maximum grip and control while throwing the ball. The balls come with a matching 5-gallon bucket for easy transport. The snap-on lid has a cushioned top that doubles as a seat for catchers during pitching practice or between turns in the batting cage. 8 Piece Tee-Ball Set Includes Soft Core Softballs, Adjustable Tee, Throw Down Bases. ADJUSTABLE TEE - Fully adjustable from 22" to 35" for every T-ball player size. Allows the coach to find the perfect height for every player. Solid rubber base offers excellent stability. SOFT CORE SOFTBALLS - Set includes six soft core T-Balls. Soft core for player and coach safety. The safety rubber core allows the all young players to build confidence while learning new skills. THROW DOWN BASES - 5 Piece labeled set included so anywhere can become a Softball diamond. 1st, 2nd and 3rd base are clearly labeled so that new players can easily identify the proper base location. 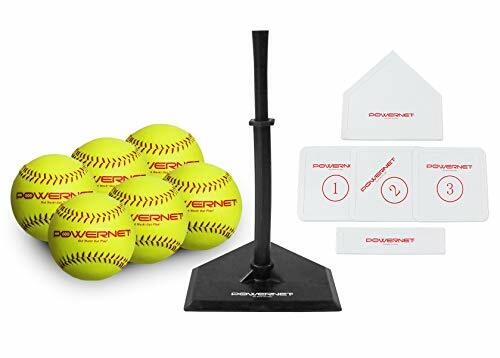 FOR EVERY COACH - This Tee-ball set is all you need for the season and includes everything you need to get started on your coaching journey. 1 YEAR WARRANTY - All of our products are covered with our 1-year warranty. We ensure that all products arrive to you without defects. Includes 1 Dozen PowerNet Softballs. 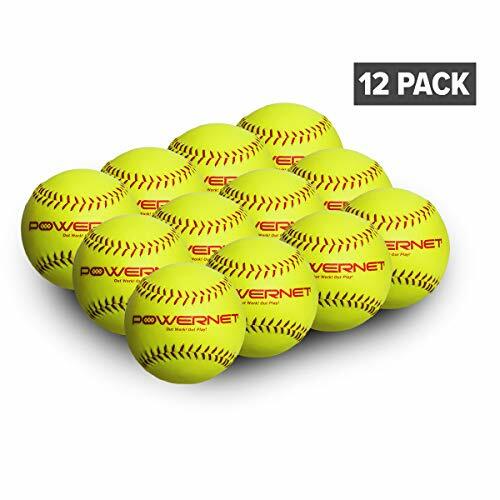 GREAT VALUE - PowerNet Softballs have solid cork core with synthetic leather covers. Raised red stitching. REGULATION SIZE AND WEIGHT - PowerNet balls are manufactured to regulation 12 ball size and weight. GREAT FOR COACHES OR HOME - Perfect addition to any home or coach training equipment collection. 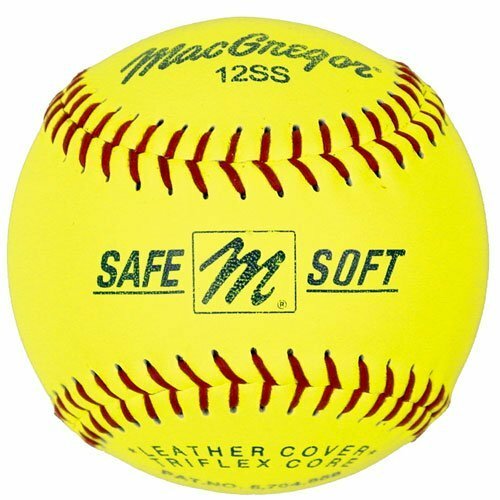 WARM UP / PRACTICE BALLS - These softballs are perfect for practice or warm up. They have the feel and weight of regulation baseballs when hit, caught or thrown at a fraction of the cost. 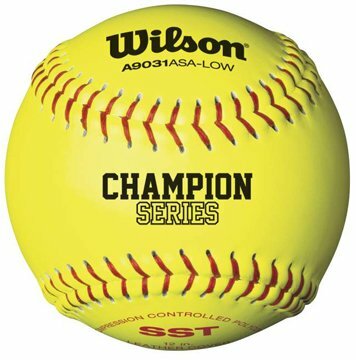 1 YEAR WARRANTY - Our softballs are covered with our 1-year warranty. We ensure that all products arrive to you without defects. 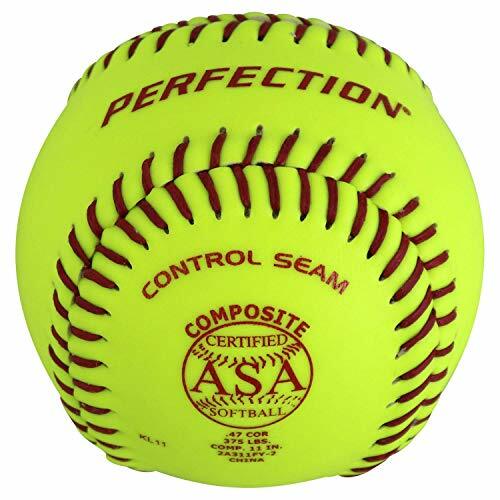 Made of premium game leather, the Perfection leather fastpitch softball is the preferred choice for collegiate and elite-level high school programs. 11-inch. Poly core center softball-Cor .47, Max 375 lbs.